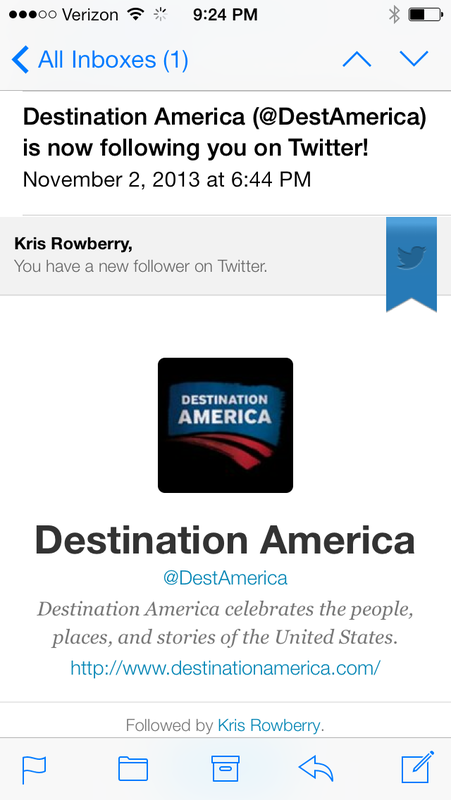 Thanks for the Follow, Destination America! It’s always great to receive new followers on social media – but some, such as the one I received last evening, are very special! 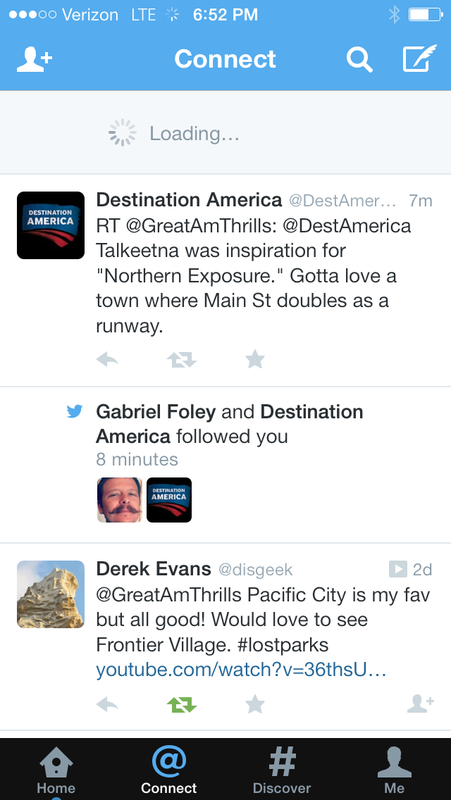 Destination America is a partner channel with Discovery Communications, and would be a WONDERFUL place to have Great American Thrills show just how amazing our amusement parks are – (wink wink, nod nod) after all…we invented them! I look forward to sharing my passion of amusement and theme parks with you, Destination America – in addition to my extensive knowledge of Talkeetna, AK ; ) Have you ever tried their pancakes? November 3, 2013 | Categories: Social Media, Television Production | Tags: #lostparks, A&E, amusement park, amusement park review, cable network, destination america, discovery, discovery channel, discovery networks, gat, great american thrills, kris rowberry, kristopher rowberry, lost parks, lost parks of northern california, new host, new show concept, new talent, roller coaster, roller coaster expert, theme park, theme park review, travel, travel channel | Comments Off on Thanks for the Follow, Destination America!